Oldham Council is using arts and culture to address issues around the health and wellbeing of individuals and communities. This case study forms part of the Value of culture - health and wellbeing section of our online Culture Hub. Oldham’s Council’s Heritage, Libraries and Arts Service (HLA) runs a range of regular and one-off projects designed to deliver outcomes around health and wellbeing. In 2015/16, £250,000 of the HLA service’s funding came from the council’s public health transformation fund to deliver health-related activity. Public health initiatives are also funded in other ways, such as mainstream core funding and grants. In 2015-16, more than 21,000 people attended health and wellbeing activities delivered by the HLA using the public health transformation fund. Activities are selected through a mix of factors: historic (long-standing groups and contacts), opportunistic (links with other initiatives and objectives) and strategic (targeting council/public health priorities). A few examples of this activity are outlined here. Health and wellbeing at libraries: Oldham libraries host free drop-in health and wellbeing events, delivered with local partners, which have included drop-in clinics on memory, HIV testing, sexual health awareness and smoking cessation. An annual health awareness day at the central library provides free health checks including blood pressure, eye checks, diabetes risk assessment, GP consultations, dental advice, pharmacy advice and complementary therapy tasters. At the 2016 event, 462 health checks were carried out, 26 per cent of people were found to have high blood pressure, 61 per cent were identified as overweight or obese and 15 people had high risk of diabetes. Advice and signposting to other services was provided. 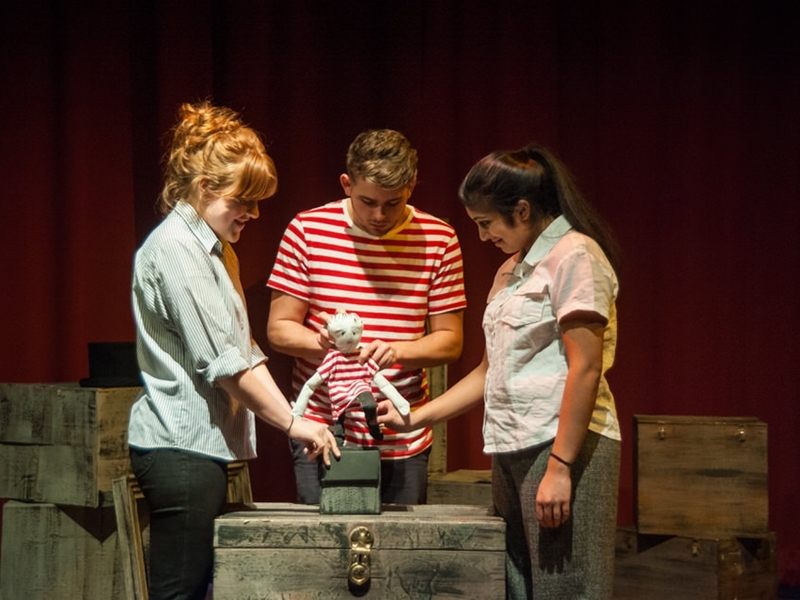 Promoting positive mental health for young people: in 2015 Oldham Council, working with the Child and Adolescent Mental Health Service, commissioned Oldham Theatre Workshop to create an educational drama exploring mental health issues. This was in response to a rapid rise in the number of self-harm incidents and hospital admissions among local young people. The performance toured secondary schools raising awareness of issues such as anxiety, depression, low self-esteem and self-harm. It was supported by an interactive workshop and a digital educational resource, and has been seen by more than 4,000 young people. Further work using theatre as a stimulus for exploring health issues is now underway. Healthy eating in the South Asian community: ‘Chapatti & Chat’ is a recipe book created by a group of 18 women of Pakistani and Bangladeshi origin living in one of Oldham’s most deprived wards. The project aimed to raise awareness of diabetes and educate people about healthy eating. The women worked with professionals to create a healthy cookbook based on their own family recipes. 500 copies were distributed locally and the book is now being re-printed due to demand. Oldham is continuing to explore how arts and culture can address broad community and health issues. In 2016/17 this includes specific work around dementia, domestic violence and autism. Arts within geographical communities and communities of interest are a great platform from which to build trust, a sense of place and belonging and to develop skills, community leadership and community capacity. Putting arts at the centre of our communities is an evidenced tool for regeneration, fostering local pride and encouraging positive behaviours. There is growing evidence for the value of participation and cultural attendance on both physical and mental wellbeing. It has been important to help others understand the extent of the contribution and potential contribution of culture to public health: colleagues are often surprised that so much can be done with so little, and so flexibly. Oldham’s work is based on the growing evidence base for the value of participation and cultural attendance on both physical and mental wellbeing.